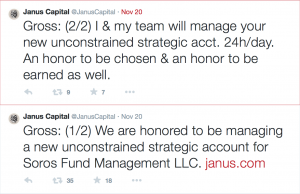 While Wall Street continues to be a little apprehensive about adopting social media into their day-to-day operations, money manager Bill Gross who describes himself as a philosophical nomad disguised in Western clothing, a wondering drifter, masquerading in a suit near a California beach in his latest investment report released on November 3, 2014. Gross proves his prowess by taking to social media site Twitter to announce to the world his next big opportunity and outpacing some of compatriots in the world of social information to gain an advantage. 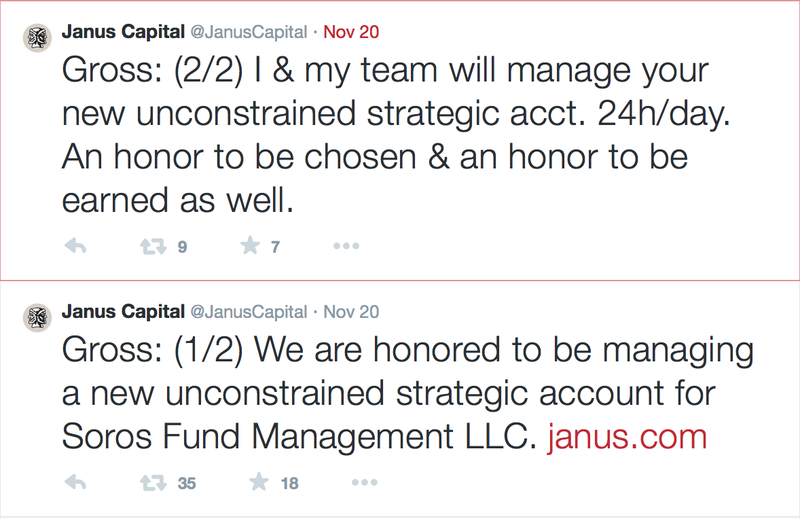 Following the announcement, Gross said on Twitter, through Janus’ official account, that he was “honored” to be managing the new account for Soros. Social information is slowing influencing Wall Street investment decisions as we witness events that continue to move markets since the signing of the Jumpstart Our Business Startups Act (JOBS Act), and the ‘go-live’ of Title II, general solicitation and advertising that went live on September 23, 2013. Reed Hastings, CEO of Netflix was the first that took to the social media site Facebook highlighting the opportunity embedded social information for investors. Hasting’s actions highlighted the uncertainty surrounding that the application of Regulation of Fair Disclosure to social media. The Regulation stated that information must be published in a manner “reasonably designed to provide broad, non exclusionary distribution of the information to the public.” And Hastings believed that the 245,386 subscribers to his Facebook page were sufficiently broad under the current guidelines. 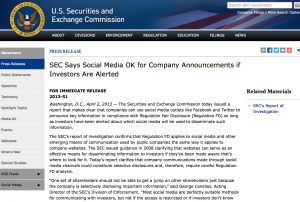 Proving that capital markets are democratizing, Hastings’ Facebook post led to the SEC decision to accept the use of social media as a way for companies to communicate material, non-public information both recognized and reinforced the importance of social media as a source of information on Wall Street ad Main Street. Despite the slow adoption to social networks by Wall Street these are clear signs that a ‘change in sea’ is underway and Gross’ perch over the California shores is giving him a clear view on how to navigate online and off.